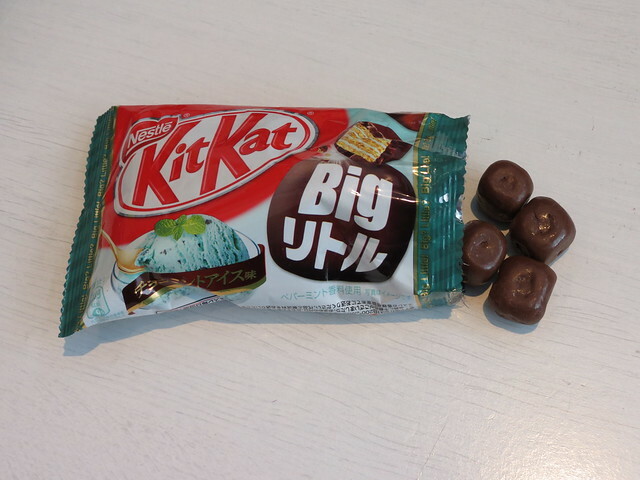 big little | Kit Kats! 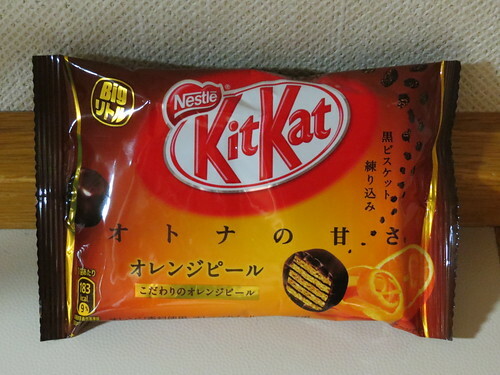 In Japan I found these delicious Orange Peel flavour Kit Kat balls. They had a really deep orangey taste, and a great smell! 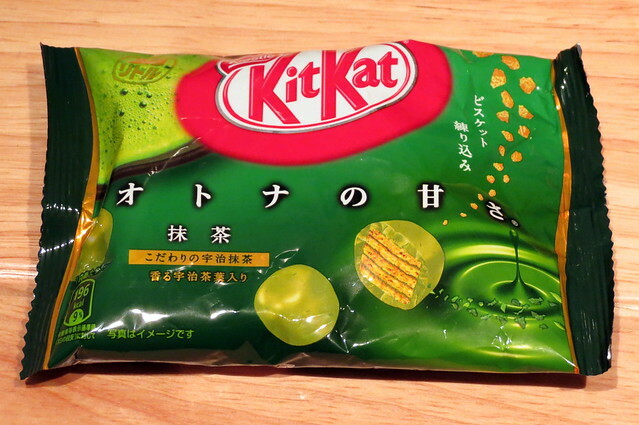 ‘Adult Sweetness’ matcha is a slightly more bitter version of a matcha (green tea) Kit Kat, and these ‘Big Little’ balls are just divine! 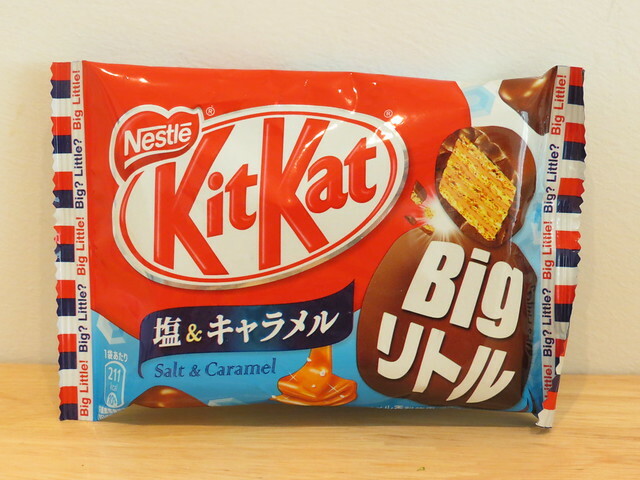 This is 塩&キャラメルBigリトル (Salt & Caramel Big Little) Kit Kat. 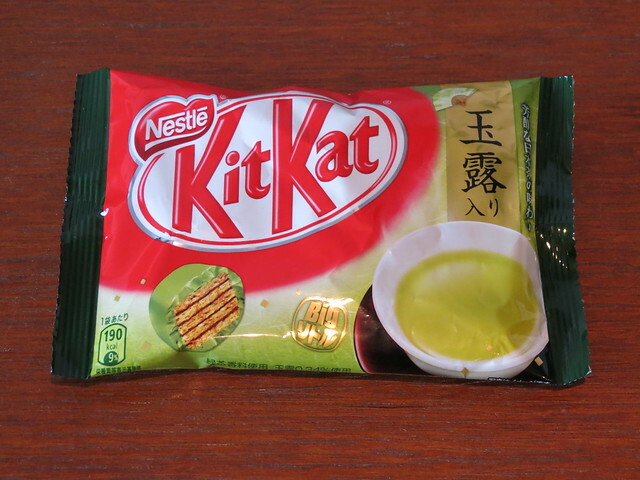 These little balls of Kit Kat are utterly delicious, and I’d be hooked on them if only they sold them here in the UK! 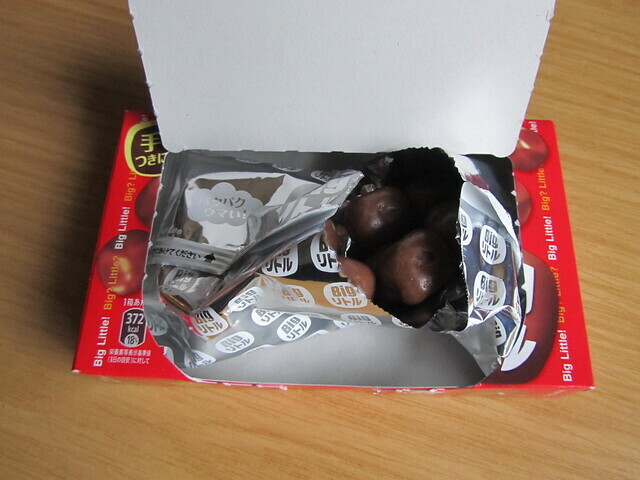 It reminded me of those boxes of Maltesers you can get. I don’t know why the shape should make the taste any different, but I do prefer these to regular Kit Kats. They’re very moreish though! 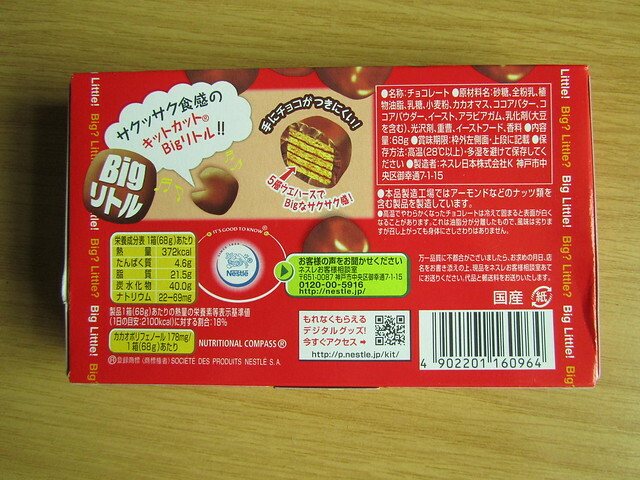 One thing I love about Japanese Kit Kats is trying to work out what all of the writing on the packaging says. On the back of this box (below) there’s a cute Kit Kat Big リトル talking (it looks like Pac-Man) and he’s saying 「サクッサク触感のキットカット Bigリトル！」 (sakusaku shokkan no kitto katto big ritoru). 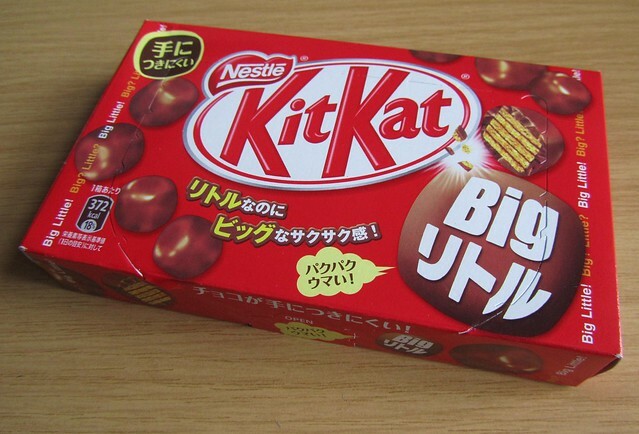 This means something like “crunchy texture Kit Kat Big Little”. Elsewhere on the box it says 「パクパクウマイ」 (pakupaku umai), which is a little harder to translate. ‘Pakupaku’ is a sort of opening and closing of the mouth, much like a puppet’s mouth, and ‘umai’ means ‘delicious’, so I guess it’s saying that they’re delicious to eat. Japanese onomatopoeic words (giseigo, giongo and gitaigo) are fascinating, but can be hard to translate! 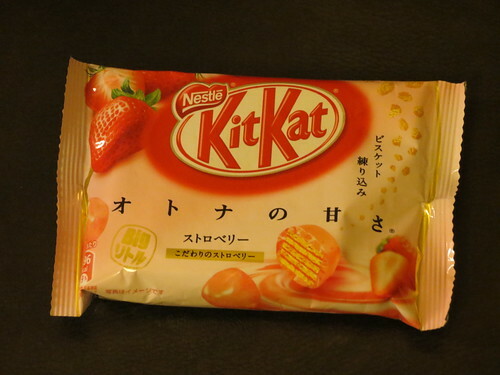 As geeky as this sounds, it’s my dream to be able to pick up a Japanese Kit Kat and be able to read and understand every word on it!